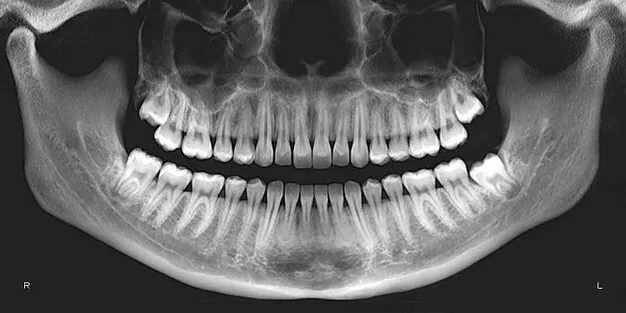 Do dental x-rays produce a lot of radiation? 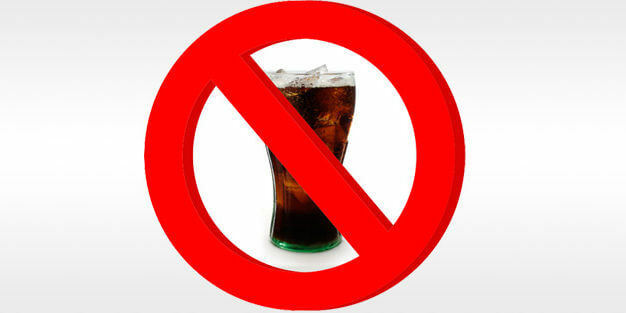 IS SOFT DRINK BAD FOR MY TEETH? 2. The high acid content wears away the outer surface of your teeth, exposing the inner surface which is closer to the nerve. This can lead to sensitivity and if severe, can damage the nerve, and may lead to needing root canal treatment. To prove how highly acidic coke is, the pH of water is 7 (neutral) but the pH of coke is 2.63 which is only one point higher on the pH scale than battery acid. At Terrigal Dental, we welcome emergency patients. If you have an incident of dental trauma, give us a call on 4384 2101 and we will fit you in ASAP. IS THUMB SUCKING BAD FOR MY CHILD’S TEETH? In most cases, children stop thumb-sucking between the ages of 2 and 4, however thumb-sucking that persists beyond this age can affect teeth. 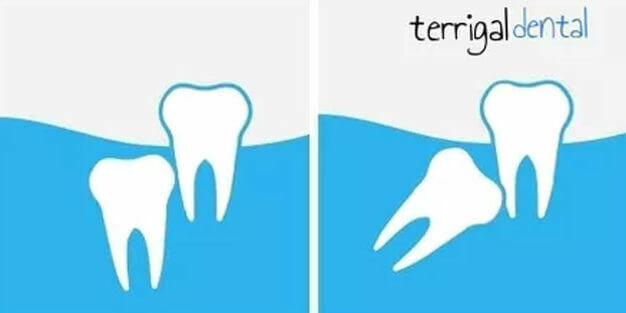 It can cause the permanent teeth to erupt further forwards or backwards from where they should erupt, which can affect the bite and appearance. 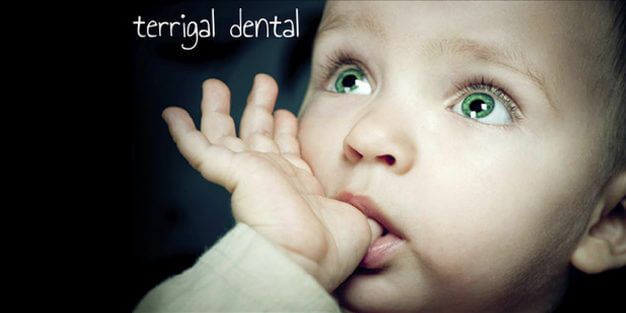 If you are worried about thumb-sucking, at Terrigal Dental we are more than happy to work with you and your child to create a program to help them stop this habit. 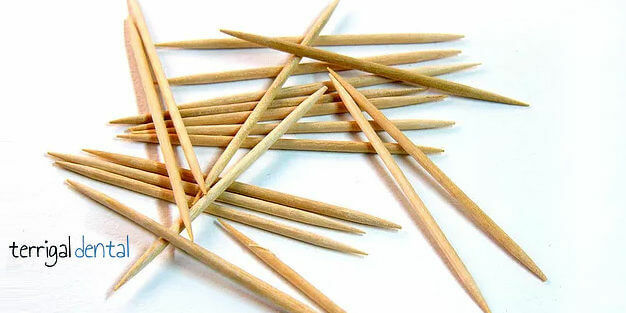 ARE TOOTHPICKS BAD FOR MY TEETH? Toothpicks are not recommended as a way to clean in between your teeth anymore as they can damage the gums and if used frequently, can damage the enamel and wear away the roots of the teeth. They can also break and dislodge under the gum, which can be very painful. 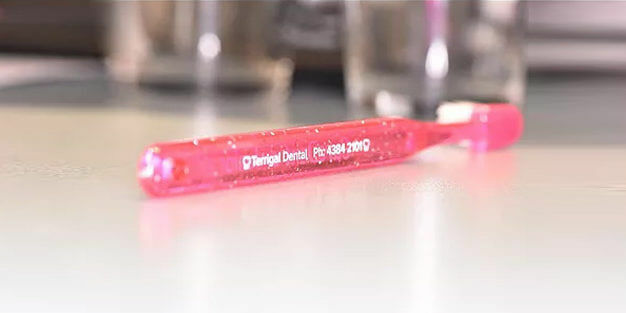 At Terrigal Dental, we recommend using interdental cleaning brushes or floss instead for a more thorough clean that doesn’t harm your teeth and gums! $2.7 billion Child Dental Benefits Scheme to be discontinued. 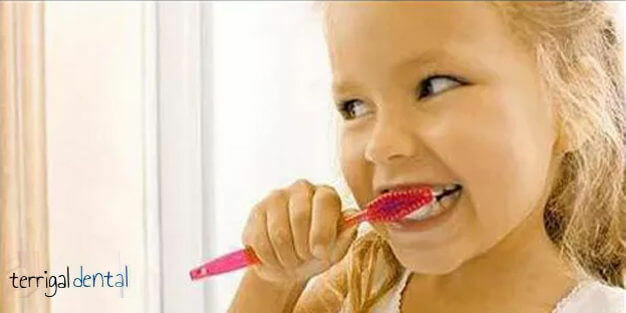 A $2.7 billion dental program has provided $1 million Australian children with free dental care could face the chop in the next budget, warns Australia’s peak dental body. The scheme provides children with up to $1000 of dental treatment over a 2 year period. As a result of the two year program, many children who have never seen a dentist before are presenting with decayed teeth requiring holes and extractions, say dentists. More than a million children, far fewer than the anticipated 3 million, have recieved care under the means-tested scheme since it was introduced in 2014. Nearly all those children has been bulk-billed and 80% were treated by private dentists. Health minister Susan Ley told a meeting of health and dental groups last week that she didnt think the means-tested scheme, designed to reach 3 million children in low-middle income families, was an effective use of funds and foreshadowed further changes. Mouthwash should not be used as a substitute for toothbrushing and flossing but it is useful as a complement to your oral hygiene routine. 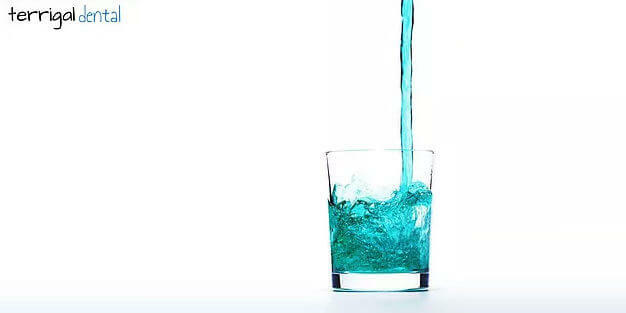 When choosing a mouthwash, it is important to choose one that is alcohol-free as alcohol dries your mouth out and makes it more cavity-prone. It is also important to choose a mouthwash which contains fluoride. 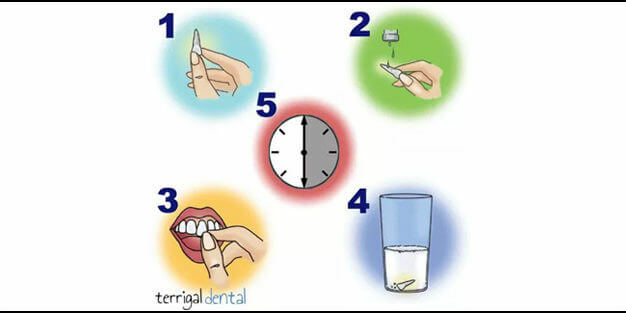 Fluoride strengthens your teeth and prevents decay. Should I have my wisdom teeth pulled out? If wisdom teeth are growing upright into their correct position in the mouth and not causing any pain or problems, then it is not necessary to have them removed. However, if they are impacted (growing at an angle) or causing crowding as there isn’t enough room for them to come through, then removal of your wisdom teeth may be necessary. The risk of leaving an impacted wisdom tooth is that it can lead to pain from gum infections and decay due to not being able to clean it properly. If you are unsure about whether to get your wisdom teeth removed, give the Terrigal Dental team a call on 4384 2101 to organize a full-mouth x-ray to assess the position of your wisdom teeth. 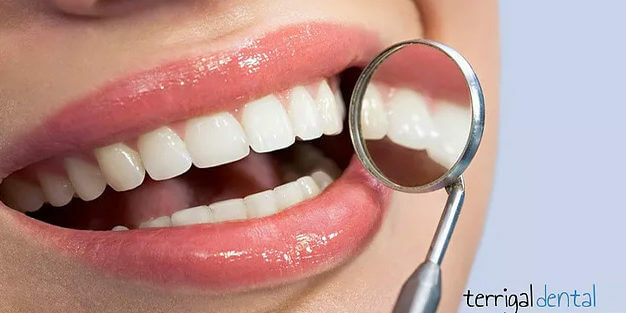 At Terrigal Dental, we believe that the prevention is better than the cure and recommend our patients attend every six months for check-ups so that any potential problems can be caught and treated whilst they are small. The larger a dental problem is, the more difficult, time-consuming and expensive it is to treat, so don’t put off your six month check-up! Give us a call on 4384 2101.